If you have just set up an accountancy practice, congratulations! It’s an exciting and exhilarating venture to go out on your own and build a loyal client base. In doing so, you will no doubt be cost-conscious but also seeking effective and reliable solutions. With BTCSoftware you need look no further. We have everything you need to get going and at an affordable ‘start-up’ practice price. We also have a long track-record of helping accountants build successful practices. We won’t hide sneaky contract renewal details or demand 3 months’ notice before the end of your contract. We believe the onus should be on us to retain your business with fair pricing, exceptional support and continually improving our product offering. As you grow, we won’t penalise your success with complex pricing. Once you gain new clients over the start-up practice threshold there is just one upgrade fee to the unlimited product. Check out our solutions below, or contact the team for a chat about how we can help your practice. And to find out how other accountancy practices rely on us see these testimonials and reviews on Trustpilot and Google. PM Solution is our principal software product and the ‘go-to’ product for most newcomers to BTCSoftware. And no wonder! It has earned rave reviews from our customers and scooped first place in the prestigious Accounting Web Software Satisfaction Awards in the Practice Management category. Our Practice Management Solution also allows you to produce Individual, Partnership and Trust Tax Returns each year. Specially designed with the start-up practitioner in mind, this superb award-winning software allows you to produce Individual, Partnership and Trust Tax Returns each year, including all supplementary pages. It also incorporates a dividend database (FTSE350+), capital allowance calculator and online filing. 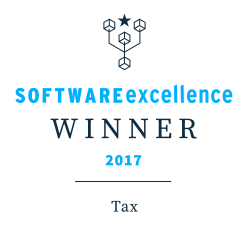 It picked up first place in the Accounting Web Software Satisfaction Awards in the Tax category to further enhance its reputation as ‘best of breed’ against some heavyweight/overweight opposition! At the heart of the process, AP Solution brings true integration to the BTCSoftware suite for an amazingly low price. Linking seamlessly with tax returns and fed by a range of leading bookkeeping products, with AP Solution the tax return process just got a whole lot easier and more efficient. Complete with incomplete records for ‘shoe box accounting’, your practice can become a whole lot more productive – and profitable!